I went for a walk last night with Mandy, Brad and Karla to have a look at the local Christmas Lights some local residents have put up on their houses. I took my trust Nikon along to try and get some nice shots. With a highish ISO setting and wide aperture I was happy with the results. There's a small street where everyone is right into their Chrtistmas lighting and lots of people walk through in admiration. 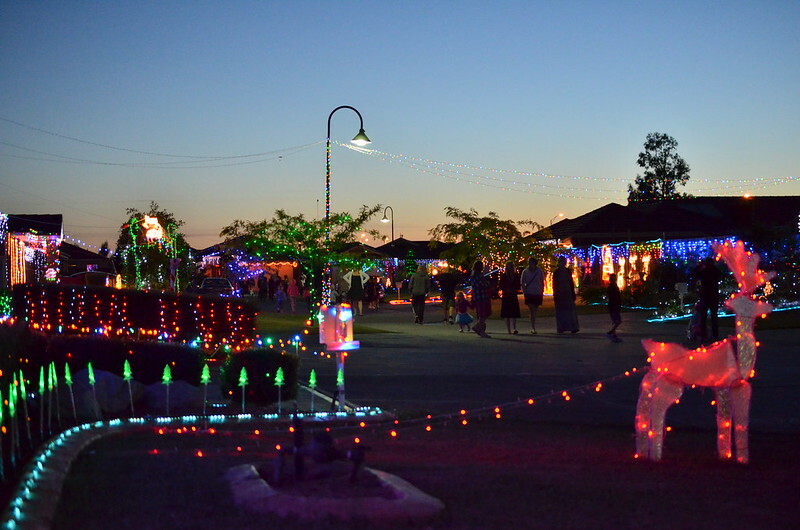 I'm really happy with this shot which not only captures the extensive display of lights, but also the community atmosphere of this normally quiet Pakenham street.